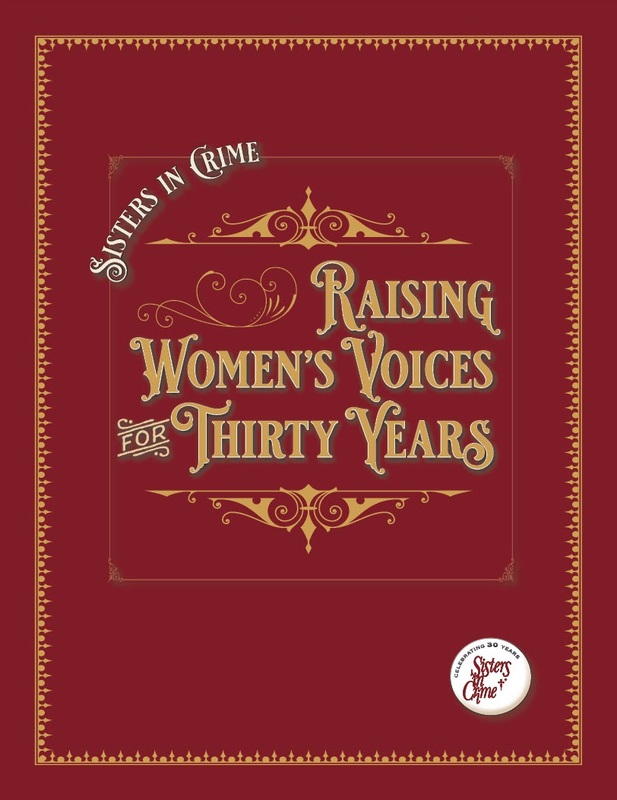 This history of Sisters in Crime is excerpted from the 2017 Publishing Summit Report, “Raising Women’s Voices for Thirty Years.” You can find the entire report here. In 1986, twenty-six women crime writers, frustrated with the obstacles they faced in publishing, met at the Bouchercon World Mystery Convention in Baltimore to plot a path toward being treated as the equals of male writers. They gathered again in May 1987 during the Edgar Awards Week in New York to formally establish the organization, Sisters in Crime (SinC). The group formed a steering committee and held the first membership meeting at Bouchercon in 1987, establishing a tradition that continues. Sisters in Crime emerged in the mid-1980s, with its primary goals to establish camaraderie and support and address imbalances in reviews while getting the organization going. At the 1987 Bouchercon in Minneapolis, a steering committee was established, with Sara Paretsky serving as the first president. When the first elections were held in 1988, Nancy Pickard became the first elected president. One of the crucial early outcomes was the Review Monitoring project, which documented the imbalance in reviews. From the beginning, membership was not restricted to published writers; the unpublished were welcome. 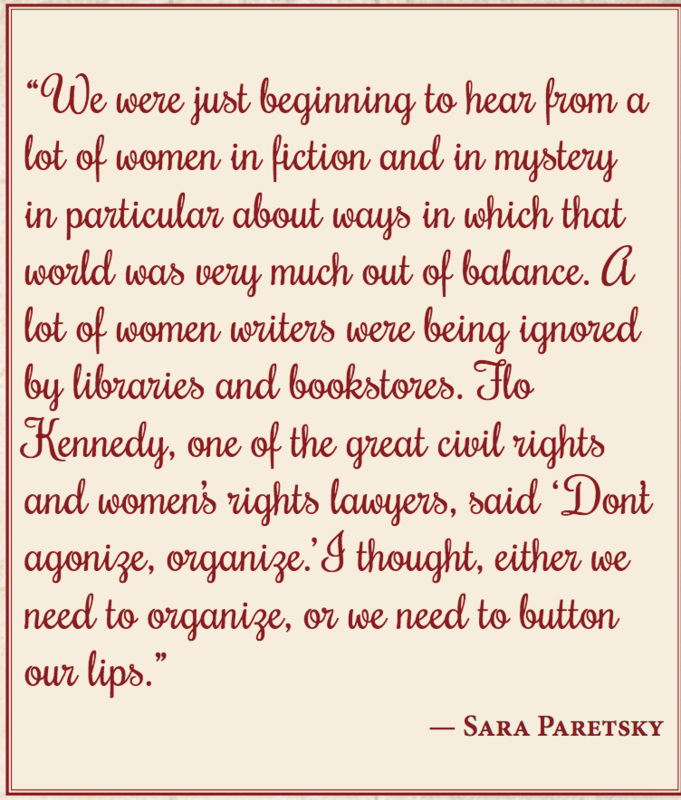 Readers, librarians, booksellers, and women in publishing all took an active role in building the organization. The emergence and development of chapters: Chapters began to spring up—the first chapter was formed in Los Angeles in 1988, with Phyllis Zembler Miller as the first president. By 1992, SinC had fifteen chapters, and in the fall of 2017, fifty-two chapters. The creation of “Support and Information Groups” (SIGs): These SIGs were designed to serve members who shared a common interest but not geography. SinC joins the Authors’ Coalition of America (AC) in 1997: The AC manages distributions of funds paid, largely in Europe, for international copyright distributions of members’ work. Membership in AC required a change in bylaws and mission to focus on authors, in keeping with AC rules, but by that time, a large percentage of SinC’s members were writers. The initial payment was far more than expected, and allowed SinC to expand programming aimed at writers. The creation of “We Love Libraries!” Program: In 2010, SinC’s library outreach expanded with a monthly draw granting a library $1,000. By the end of 2017, SinC had given American libraries nearly $100,000 to buy books. Moreover, as self-publishing became a viable option, additional questions and structural issues arose, as well as some new divisions among members. Rewriting the tagline and mission statement in 2013 to articulate a vision that, for the first time, went beyond gender to do more to include authors of color. Re-focusing the mission to emphasize education, creating an Education Committee, a Speakers’ Bureau, and an Education Liaison. Creating a new campaign (“We Love Short Stories!”) of inSinC articles and discounted subscriptions aimed at promoting short story writing and reading. With help from many quarters, within the membership and outside it, SinC’s founders created an organization that values the needs of all its members, whether they are readers or writers. An organization that fights for diversity, and isn’t afraid to look inward, find itself wanting, and model a path for change. An organization that supports and includes, that looks to expand shelf space—literally and figuratively; that encourages writers to get a seat at the table not by unseating someone else but by building a bigger table. This is not a complete history of Sisters in Crime. To read the full 2017 Publishing Summit Report, “Raising Women’s Voices for Thirty Years.” Click here. Watch video interviews with founding mother Sara Paretsky and Marcia Talley on our YouTube channel.